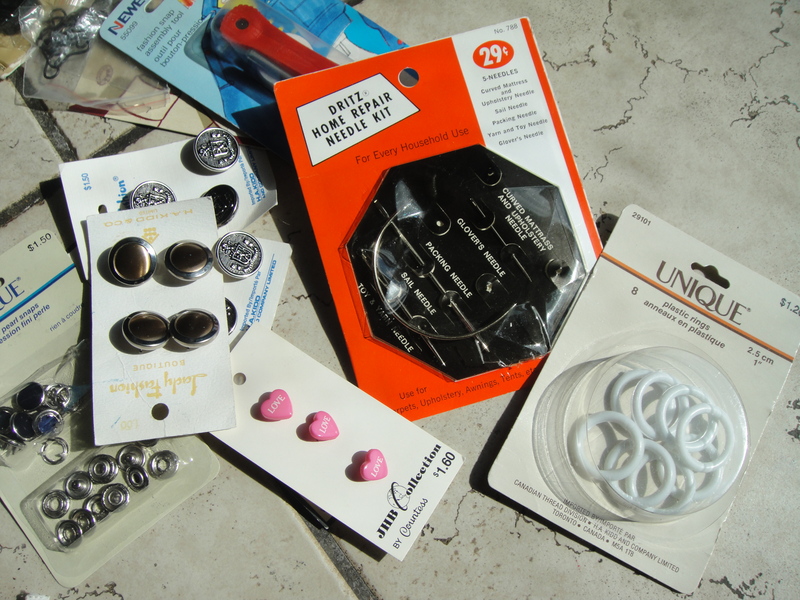 Fortunately, I got some fun new sewing stuff in the mail this week. I was especially excited to try out the Seam-Gauge Guide. Unfortunately, when I went to try it, my fabric scissors were nowhere to be found. 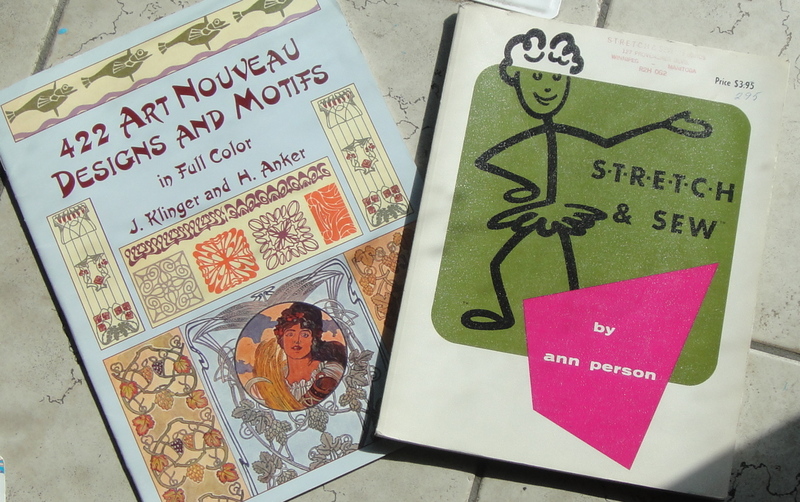 Fortunately, this motivated me to clean up my sewing room. Unfortunately, I STILL couldn’t find them. Fortunately, I’d been thinking of getting another pair anyway, since my old ones no longer cut to the very tip, which makes notching difficult. Unfortunately, there’s not a lot of time in my week-days lately to trot off to the fabric store. Fortunately, there’s a shop called Sewing World on my walk from work to the train. They sell sewing machines, sewing gizmos, and notions, albeit with a bit of a focus on the quilter. Unfortunately they’re usually closed by the time I leave work. Fortunately, one morning this week I managed to get in early enough to stop on my way too work. Unfortunately they have about eighty bazillion different sizes, styles, and price-points of scissors to choose from. Fortunately, the lady working was willing to pull out about a dozen, mostly Ginghers, and provide fabric samples for me to snip up. Unfortunately, the best-quality Ginghers have metal handles. This makes them very pretty and sturdy, but sets off some nerve damage in my thumb. Fortunately, she pulled out another kind that cut even better than the Ginghers. Unfortunately, they were really large. This wasn’t a problem for the blade length so much as that my fingers flopped around in the handle. 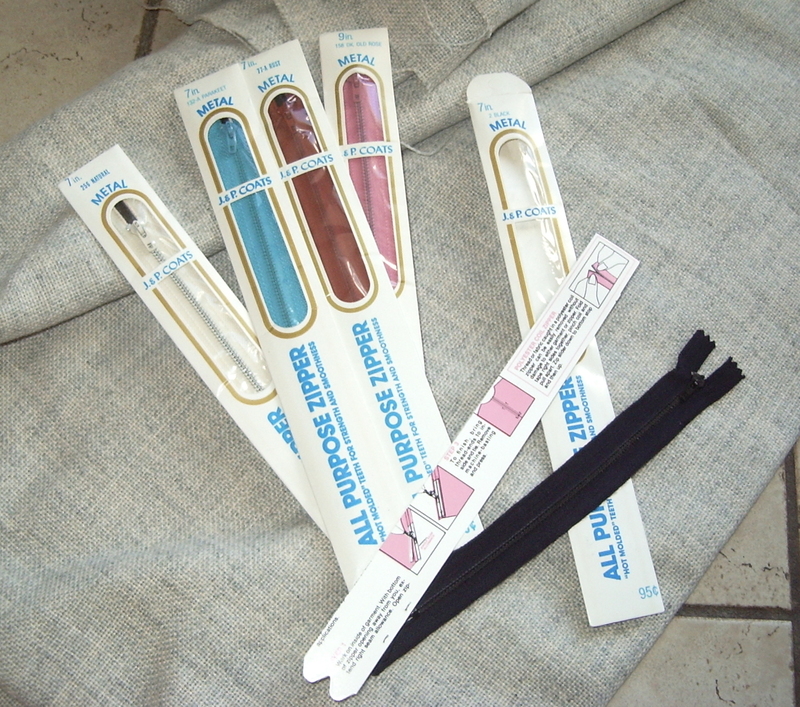 Maybe they’re men’s fabric scissors. Fortunately, the lady promptly called up her supplier and ordered in a couple of pairs of the same kind in a smaller model. Unfortunately, they won’t be in until next week at the earliest and I need scissors right away. However, I didn’t want to buy an expensive pair when there was a pretty good chance I’d be coming back for the freakin’ sweet crazy ones in a week or two. Fortunately, there were some “Featherweight” Ginghers, which while not as awesome as the regular Ginghers, were still pretty sweet, and most importantly, have a plastic handle and are much cheaper. So I have new fabric scissors! Unfortunately, the plastic extends along the blades, making an odd lump, so that even though the seam allowance gauges still stick, they angle downward too sharply to really work, plus the magnetism isn’t quite as strong so it would get knocked off easily. Fortunately, I might even have time to come to my senses about the price of those godlike scissors by the time they’re in stock. Although I wouldn’t bet on it. 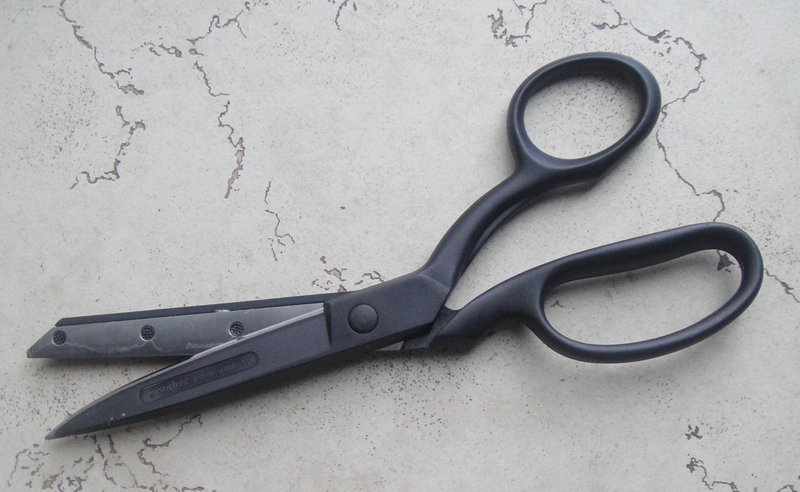 And in the meantime, I have new scissors anyway! And they snip! So my notches will (hopefully) no longer resemble irregular blobs somewhere in the general vicinity of where they’re marked on the pattern. Hooray! PS: writing in that “fortunately, unfortunately” format is kinda addictive. I find my thoughts now composing everything as a series of fortunate and unfortunate happenings. I mentioned previously that after a bit of a hiatus, my most recent Value Village trip was, ah, fruitful. The fabrics shown to the left are all substantial chunks: 2m of the black, four of the voile, and three of the red/black coating. My husband has attempted to claim the black for his frock coat, although there’s only 2m so I’m doubtful it’ll be enough. 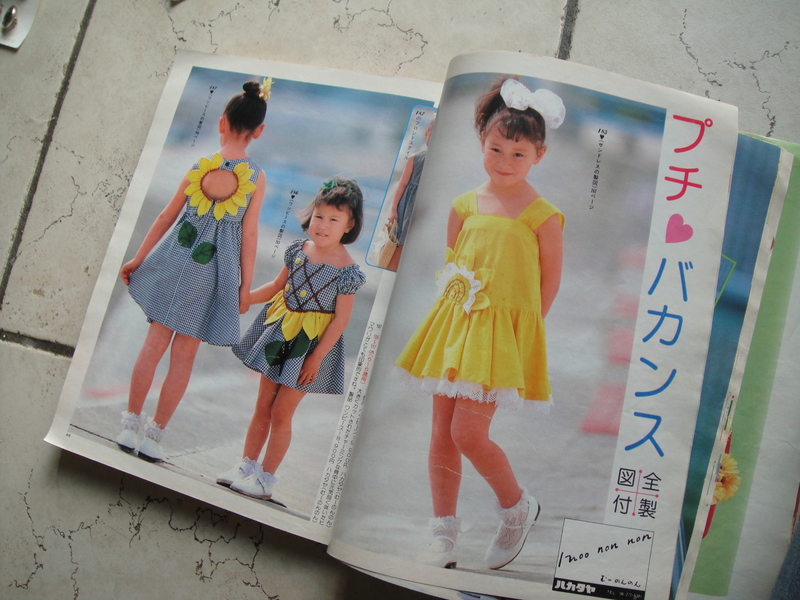 The voile has me thinking of retro sundresses (gee, bit surprise), inspired perhaps by this Burdastyle pattern. I couldn’t quite walk out without these patterns, either, despite the fact that I’m pretty sure my pattern stash is nearing critical mass (or at least the point where I’m going to have to start organizing it on something other than the principal of superposition*. 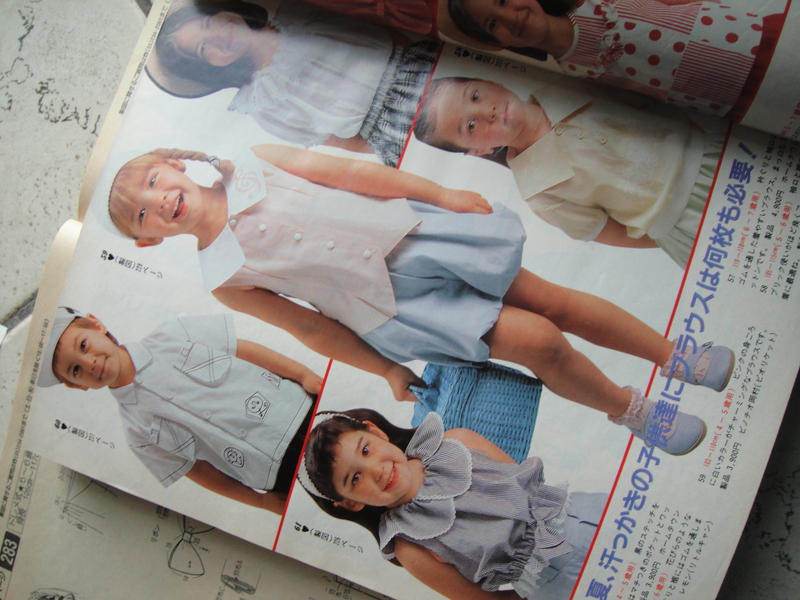 The kids’ pattern on the right is cute and summery, just the thing. I was a bit more hesitant about the Kwik Sew dancewear, but I’ve been wanting to make myself another pair of yoga pants forever, and I figure it can’t be too hard to reduce the rise, and everyone loves Kwik Sew patterns and says they’re not as awful as the illustrations, so I went for it. And the corsets… well, c’mon, who can resist a “genuine” (or at least passably historical) corset pattern? I’m pretty sure I’ve heard recomendations of the book on the right… I’ll let you know once I’ve had a chance to peruse it. The book on the left… well, that kinda speaks for itself. I love Art Nouveau. 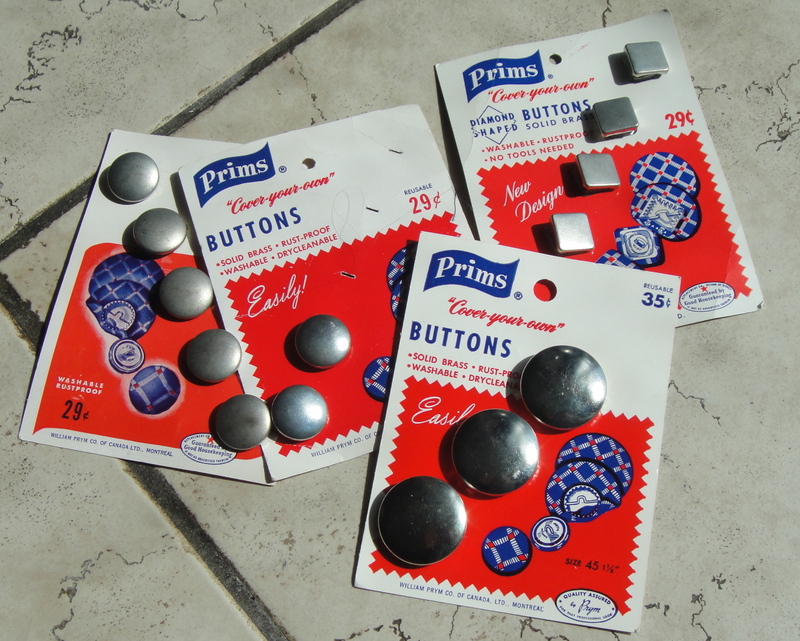 Coverable buttons. Apparently these ones don’t need a special setter/tool. And there’s a package of square ones! I’ve never seen square coverable buttons. 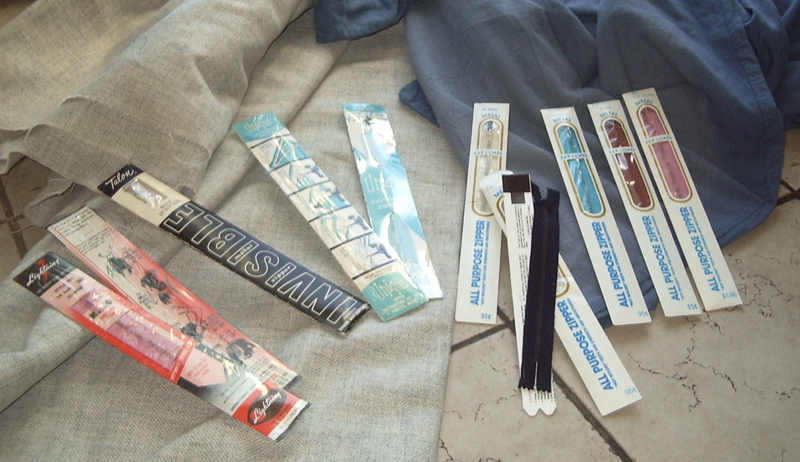 I’m beginning to have rather a collection of these… I must actually try some sometime. Today was a wee bit grueling, culminating in the assembly of a futon so that our impending guests won’t be condemned to the (ever-leaking) air mattress. It was also grey and sprinkly, although I managed not to get actually rained on, doubtless due to the protective properties of the umbrella I actually thought to pack. My skinny cargoes and frankenshirt. The shirt remains one of my all-time favourite knit projects, despite the fact that the bodice wasn’t quite long enough (so I haven’t hemmed it) and the twin-needle topstitching on the wrists has broken from over-stretching. 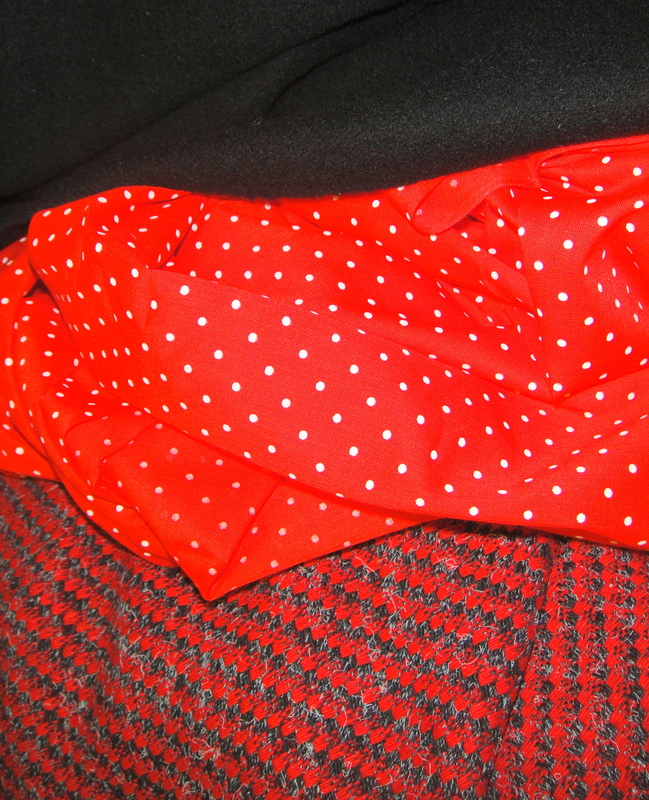 Also the fabric, another one of those rayon-doubleknit things, has pilled a bit. I still love it. The skinny cargoes have held up quite well also, albeit not quite as long. The only real problem is that I forgot that the pocket lining I used (the same asian-inspirted remnant I used for the binding in the 70s jacket) hadn’t been pre-washed (don’t worry, I washed it before using it on the jacket). It has shrunk. Not catastrophically, but just enough that there’s a bit of slackness over the front thigh, even though they don’t feel loose. Pooh. These are great pants when I want to feel tough and competent and a little bit edgy. As in, they’re not at all in keeping with the soft-pretty-spring thing I’ve had going on in most of my sewing the last few months. Ah, well. They were just what I needed today. After a few fairly dismal visits in March and early April, I gave my local Value Village a break. When I popped over the other day, I hadn’t been since before Easter. 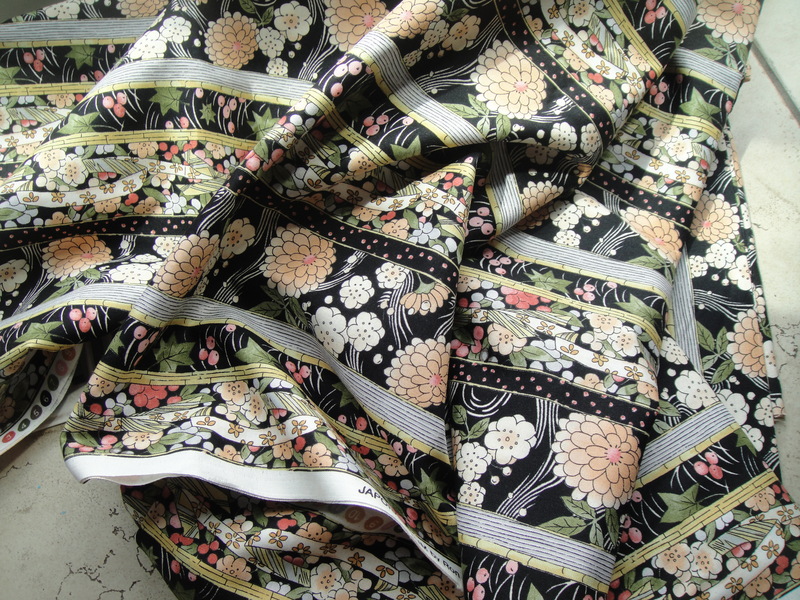 I actually wasn’t hoping to do much other than get a bit of excercise, but sadly for my wallet (happily for for my stash) there were a couple of good fabrics, some more vintage notions, and, most intriguingly, a couple of Japanese pattern magazines. 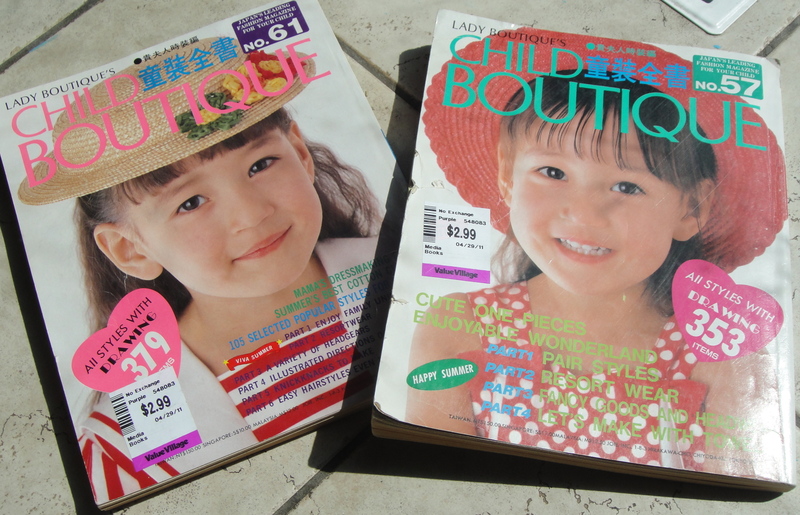 In specific, two copies of “Child Boutique”, which appears to be a kids’ spinoff from Lady Boutique, which I think I had vaguely heard of before. These are not, however, the sleek, ultra-classy, subtle designs I’ve come to associate with Japanese patterns. 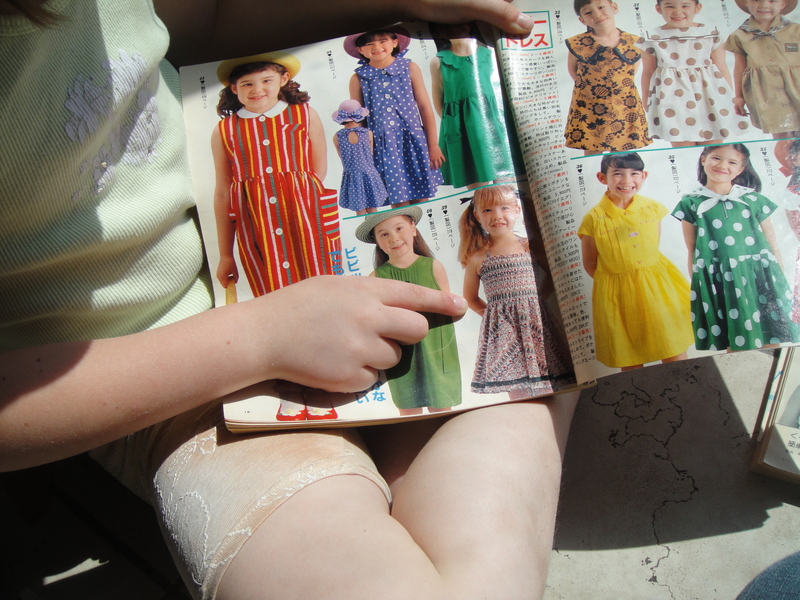 I can’t find a date on the magazines but from the fashions I’m guessing late eighties or early nineties. Words like garish, oversized, and sometimes plain odd come to mind. As a lefty, it makes me happy that Japanese books run “backwards”. This is the way I’ve always filled my sketch books. The magazines are substantial things, more like catalogues. The front portion is full of photographs of the styles, with style numbers and what I eventually (mercifully) figured out are page numbers beside each. Yay! 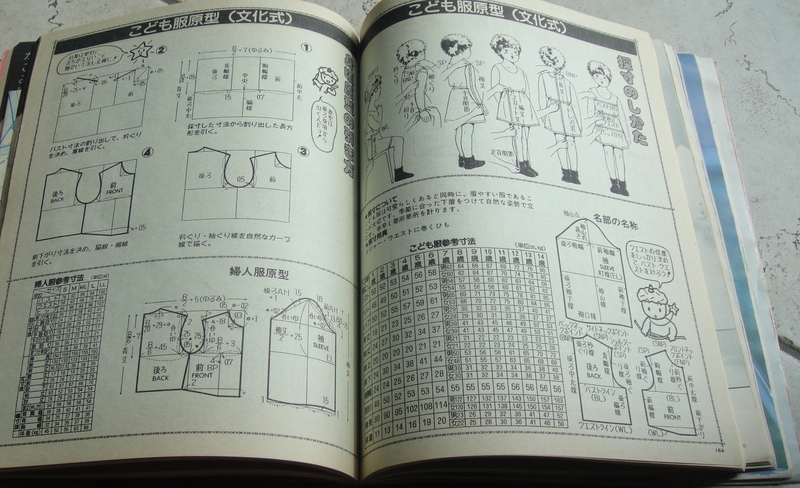 Next, a few select styles have sized drafting instructions and cheerfully illustrated directions, kinda like the Burda Style sewing course. 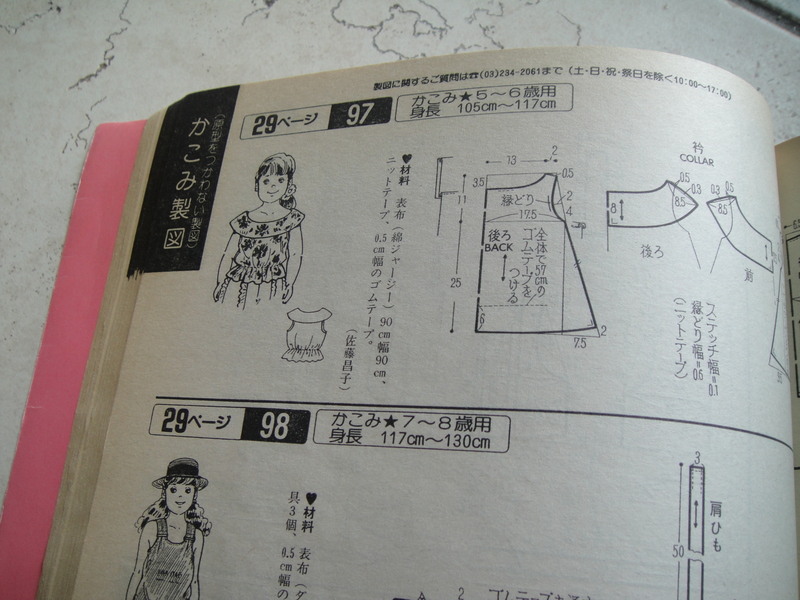 There are some accessory and hat patterns in this section, too. 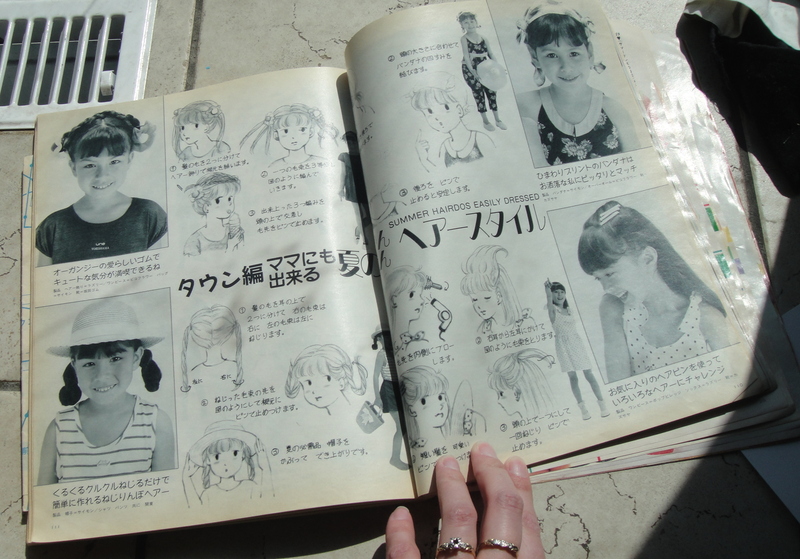 There’s a page or two of hairstyle directions. Some are pretty simple, but some I could probably have made use of when my kids had longer hair. Measurement chats---thank goodness for diagrams! There are several sizing charts, fortunately with diagrams so I can figure out which measurements go where. 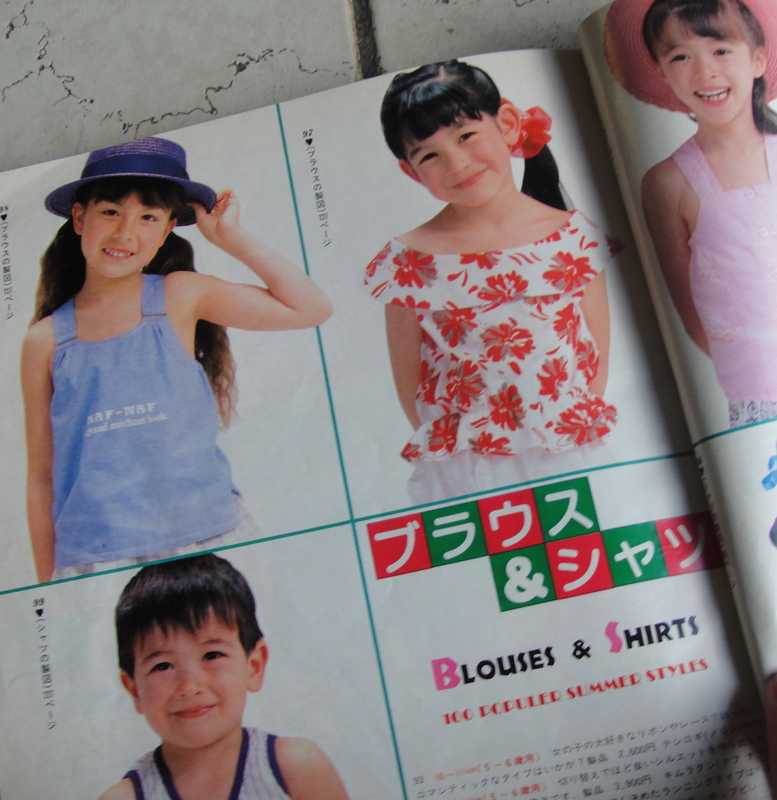 My kids appear to fit quite well within the age/sizes for Japanese children. Good to know. Obviously this doesn't contain more than a fraction of the couple hundred styles in the magazine. I'm not sure which ones it does. There is a single, not-terribly-dense pattern sheet included. Obviously this is patterns for only a very few of the styles illustrated. I haven’t figured out which ones, though. I really like this flowered blouse. 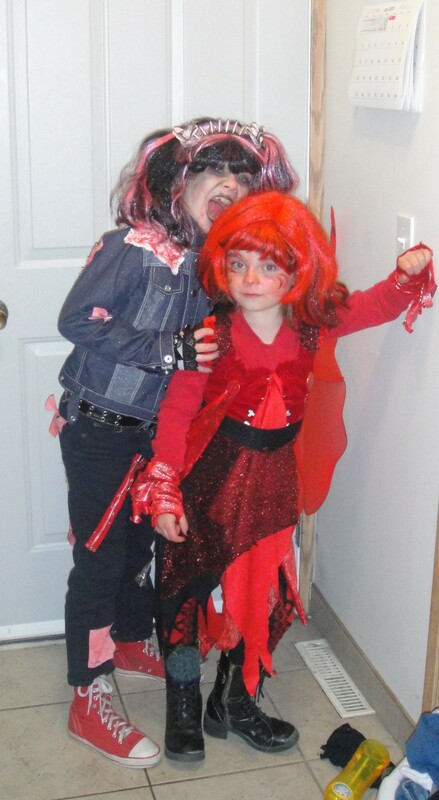 I don’t think my kids are quite as enthused with it, though. This is its diagram. Most of the back of the magazine is full of sketches and diagrams like this; I presume you use their dimensions to draft out full-scale versions of the patterns. Most of these seem to be given in a single size, although it looks like a size-range is suggested. Probably it would all make sense if I could understand the text ;). This one has crossed the line into odd territory. 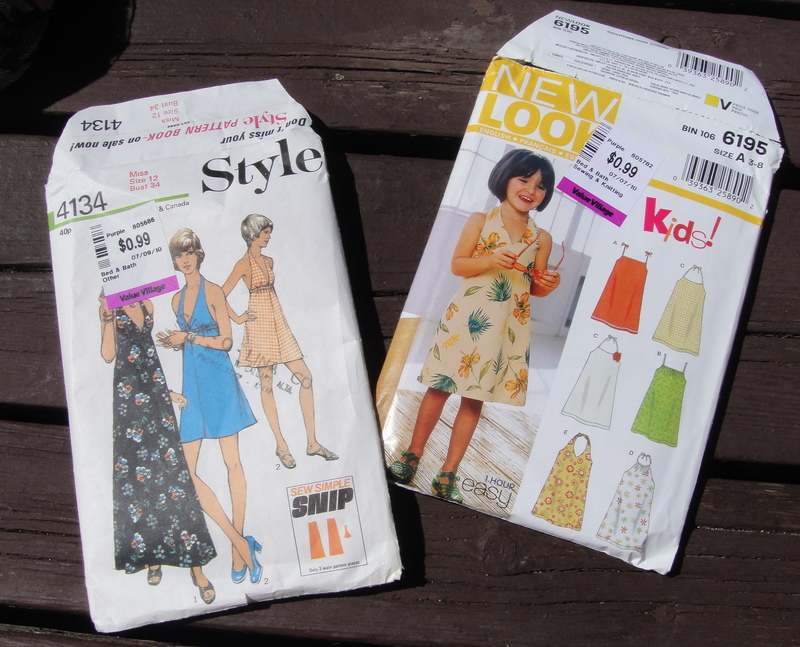 I like this outfit in the middle, too, but again it’s pretty twee for my girls. Also I feel oddly disturbed by this kid’s bleached-blonde hair. I don’t really feel like you should be putting that many nasty chemicals on a kid’s head. Maybe I’m being prudish, though. Syo would like to show you her favourite dress. 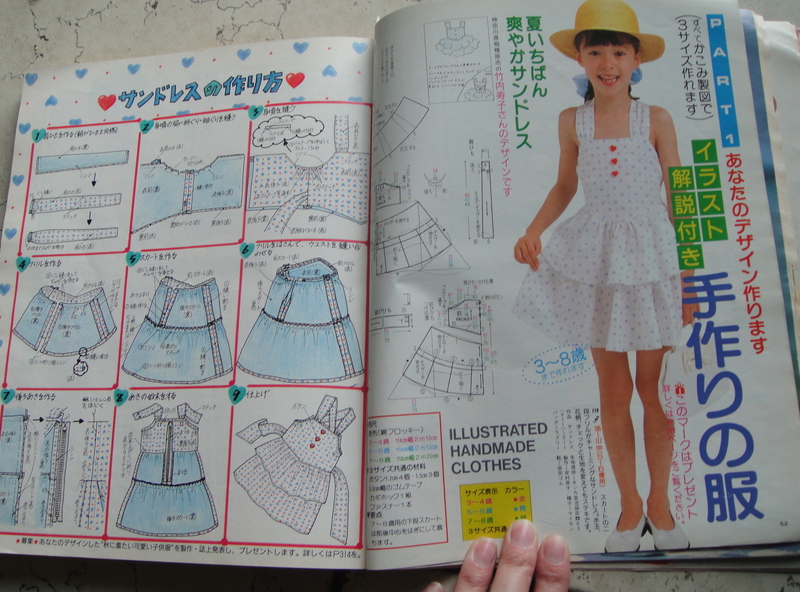 Somehow I don’t think I need a Japanese pattern magazine to make this one, a simple shirred-top dress with spaghetti straps. 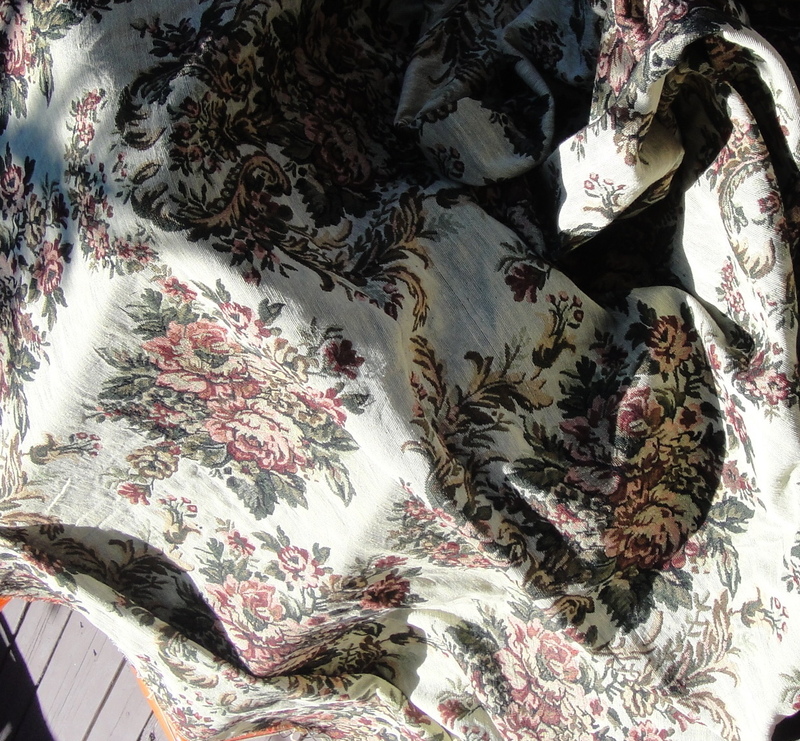 Finding such cool fabric, though, may be a feat. I got a few other nifty things, too, but in the interest of stretching out my daily post material, I’ll tell you about them later. Yes, I bought a print. Picking it was agonizing, too. 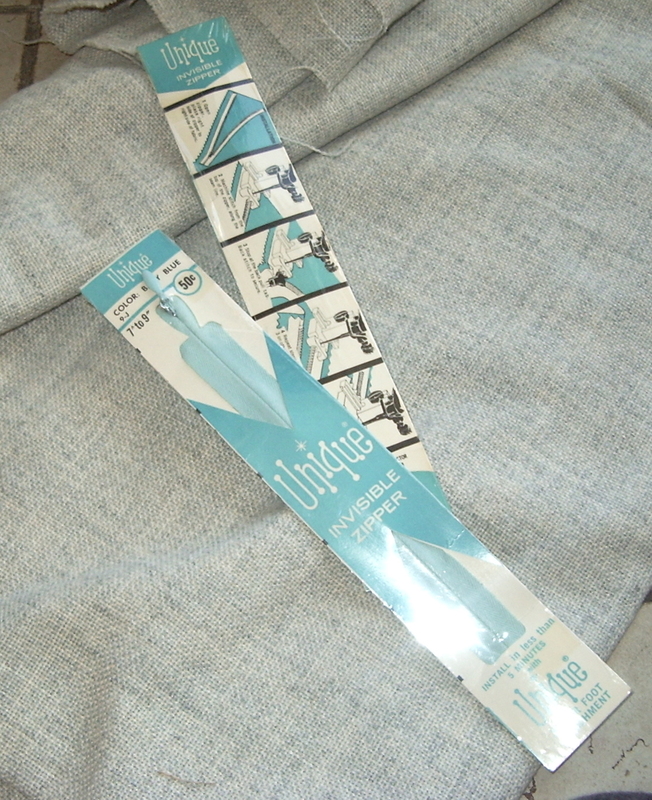 I was only going to get a metre, to use for pocket linings, but it was on sale so at the last moment I became weak and got three metres. I’m thinking a skirt. I think this is a nice outfit but I was having trouble getting a decent picture, and it’s started to rain so I don’t feel like doing any more. But here it is. The school bus schedule changed today, and according to Tyo the bus would be coming five minutes later as they are now the last stop to get on before the bus goes to the school. So we went out five minutes later than our usual time. And, naturally, the girls missed the bus. Now that the weather is no longer motorcycle friendly, we are back to being a one-vehicle family, which means my hubby takes off at 7:00 am with the car. Which leaves me with two kids and a complex web of public transit between us and the school. It’s not actually that far as the crow flies, but the buses and train just don’t connect well. So we trudged off towards the nearest city bus stop. While I was inside the 7-11 getting change to get the girls on the bus (I have a pass as I take public transit to work), the bus came and went (not one that would take us right to their school, but within about a 10-minute walk at offpsring-speed). So, swearing quietly (me, not the kids), we trudged the block further to the train station. The train doesn’t go to the school, but it does go to a stop that has other buses that go by the school. We caught the train, although each of their tickets cost me extra because I still didn’t have quite the right change. We went to (what I thought) was the stop. We waited. Eventually the bus with a number we wanted came. We got on the bus. The bus proceeded to toodle around in exactly the wrong area for about 40 minutes, before dropping us back where we started. Apparently it had the right number, but the wrong name underneath (usually this means that it’s going along the same route in the opposite direction, so it’ll still get you there EVENTUALLY. Apparently not in this case). It’s really embarrassing getting off a bus at the exact same stop you got on at. Ah, well. At least it gave us a chance to drill Syo’s spelling. She managed to score 0/10 on her last weekly spelling test. I think that takes talent, don’t you? It takes about 20 minute to walk from the train station to the kids’ school. It only takes about 45 minutes to walk all the way from our house to the school. Granted speeds with offspring in tow are still a little less than optimal, but they’re not that bad. I got the kids to school an hour and a half after they first missed the bus. Should’ve just walked the whole way. So on the way home (walking) I stopped at Value Village to console myself. I staunchly resisted the several colours and weights of denims, and some rather interesting brocades. I did succumb to this rather lovely grey/cream wool (on the left in the top photo—would’n’t that make a lovely spring jacket?) and two packages of vintage zippers, still in their little paper cases. 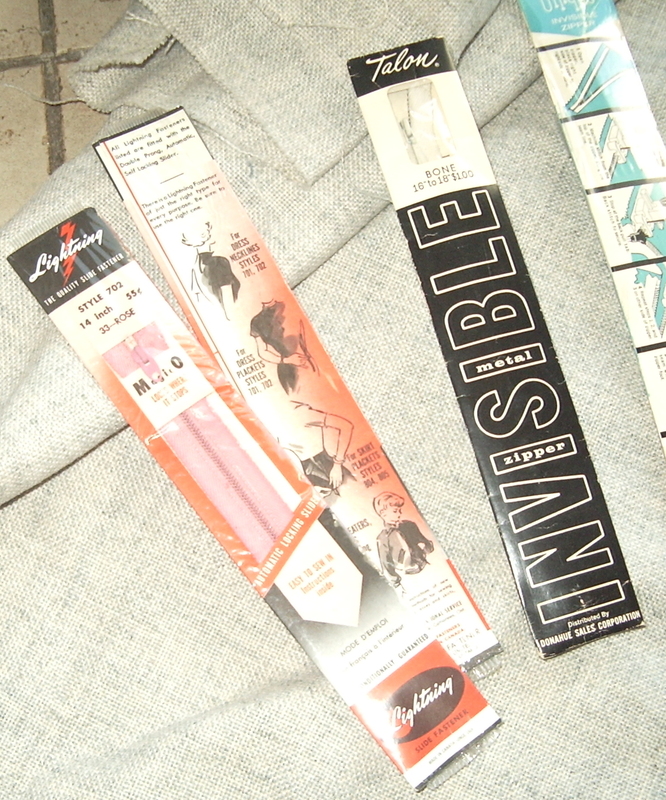 Including a bunch of invisible zips, which I don’t have any of. And a bleached old blue flannel duvet cover that will do nicely for the next round of muslin/underlining for Tyo’s coat (on the right). Whenever I can get the pattern printed. These zippers are really darling. Most are in the 7 to 9″ range, good for skirts or pants. One’s a pink 14″ regular, and another’s a white 18″ invisible. I guess I need to make a white dress for it :). And don’t they come in the most adorable little packages, complete with instructions inside? More zips... the oldest, if price is a guide. Also, it occurs to me that I somehow missed out on the obligatory “Hallowe’en Post”. So here’s a picture. The only actual sewing I did was Syo’s red gauntlets (well, and the jacket Tyo used, but that was last summer and thoroughly blogged already). Syo’s costume wasn’t really warm enough… I should’ve made her put another layer underneath the shirt, even with the very mild weather we had on Sunday. She was pretty cold and grumpy by the time we got home, which is when this picture was taken. Weak, weak, weak. Bad enough I snatched up this huge bit of upholstry fabric at Value Village (it was mis-priced to $0.99—who could resist?) and then splurged on cute ribbons at Michael’s. Then I popped by Fabricland to pick up knit fusible interfacing and discovered the lace and fancy elastic section (apparenly I had been looking the wrong areas). And some other interfacings and a blue knit and the Burda tracing paper. I couldn’t find the Solvy I swear I saw there last time, and I resisted the darker shade of red Kasha lining they now apparently have (where were you last week during the 50% off sale, I ask you?). It’s amazing how all the little things add up, really. 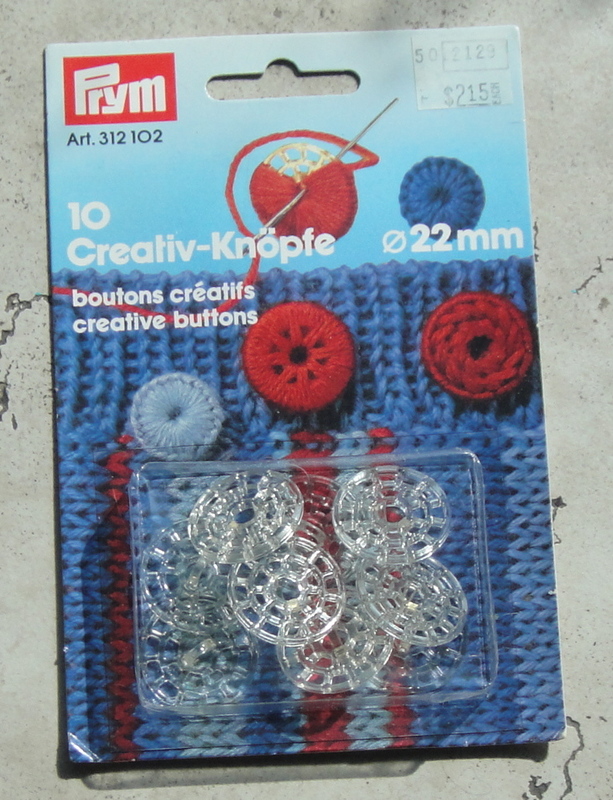 But I think I’m set for my next few projects, anyway. Ribbons and lace and elastic, oh my! as if there weren’t enough things you could do with the Popover Sundress.